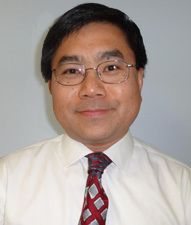 John Chan serves as the software testing lab director and is responsible for software testing and defining the evaluation criteria for The Guide to CRM Automation. He also evaluates the CRM software offered on the Reviews Online service, assists with the implementation of ISM’s CRM Software Selection program and organizes ISM’s CRM Educational Tours. Prior to joining ISM in 1999, John worked on numerous marketing and consulting projects, including conducting a market research project for Citibank, organizing focus groups for US Airways and coordinating market research studies assessing e-mail usage in major metropolitan areas. John Chan holds an MBA with a concentration in marketing from Georgetown University and a BA with honors from Colgate University.